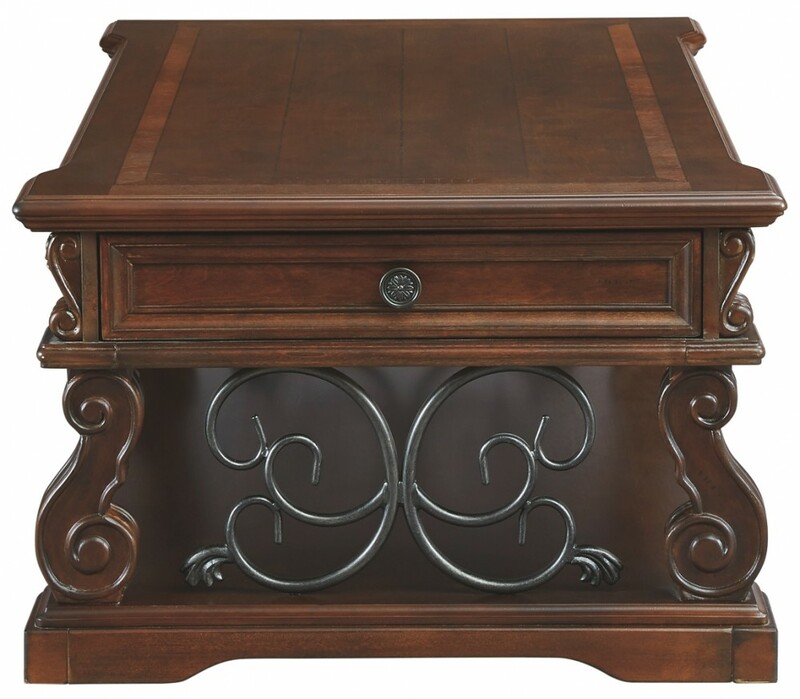 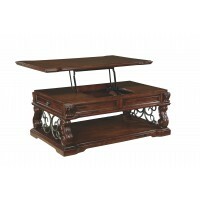 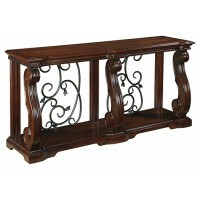 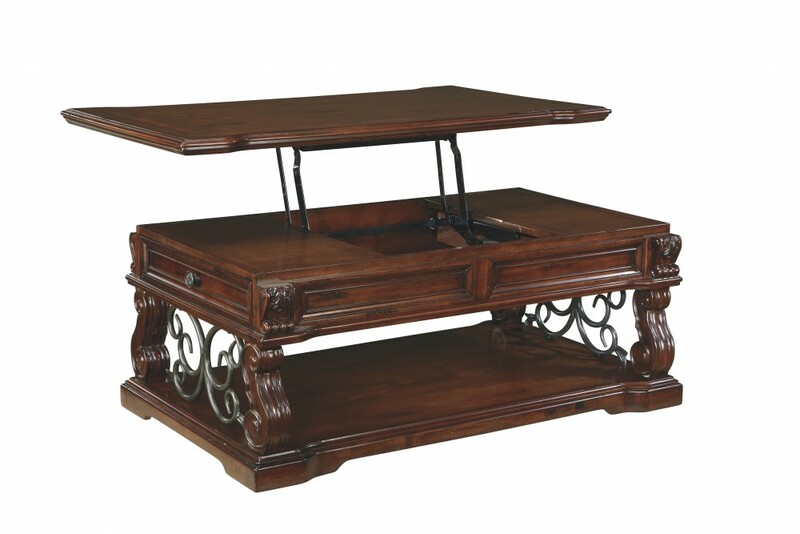 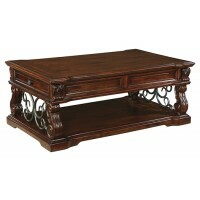 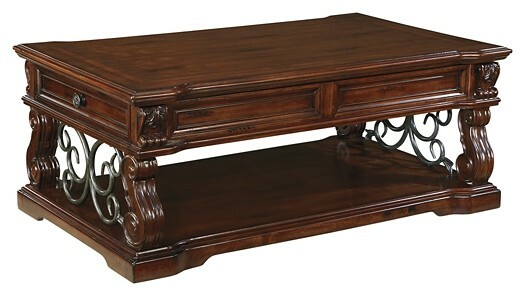 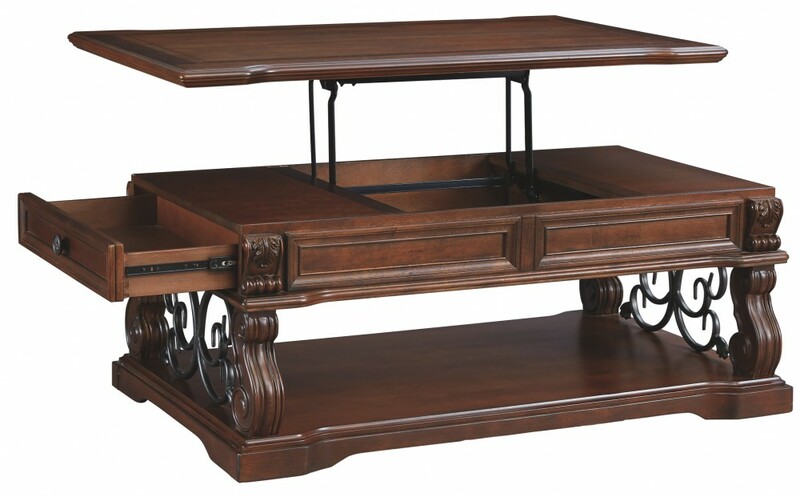 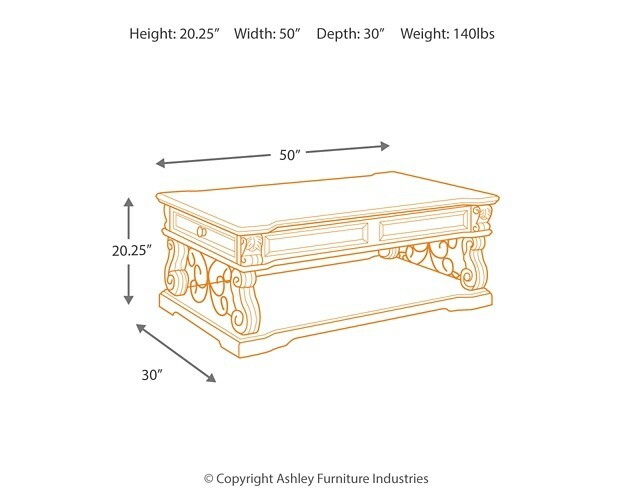 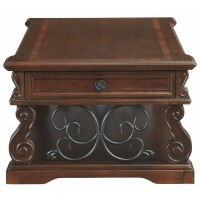 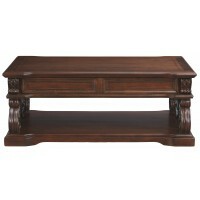 Rich wood and rustic metal work so well together in this lift-top coffee table. 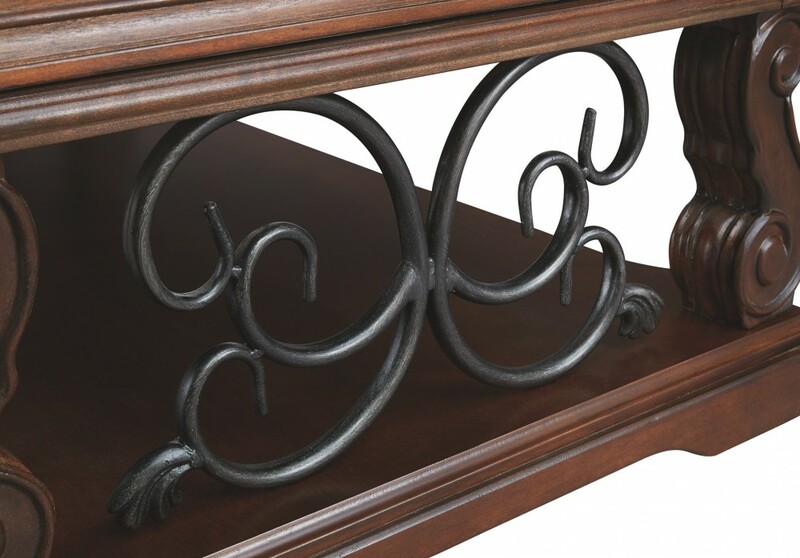 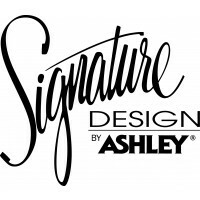 We love how the curvaceous shape of the table’s serpentine legs is echoed in the scrolled metal accents—for a modern-classic style that’s substantial without being heavy. 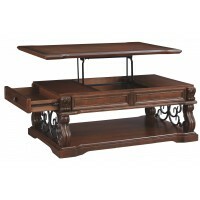 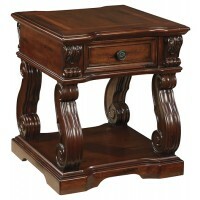 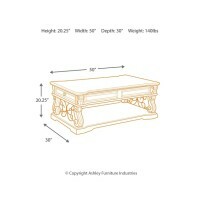 Lift-top table is ideal for informal dinners in front of the television, adding function to great form. 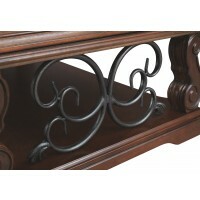 A fixed shelf provides display space for your favorite whatnots while drawers keep essentials out of sight.